Have you ever wondered where the data for Garmin Synthetic Vision, EGPWS data, or even 3D terrain data on Google or Apple maps comes from? Well, it comes from a Space Shuttle Mission, STS-99, that mapped the earths topography. That mission (and many, many more) were under the watchful eye of the Flight Director at NASA. We have that Flight Director, Paul Dye, on the show with us today. 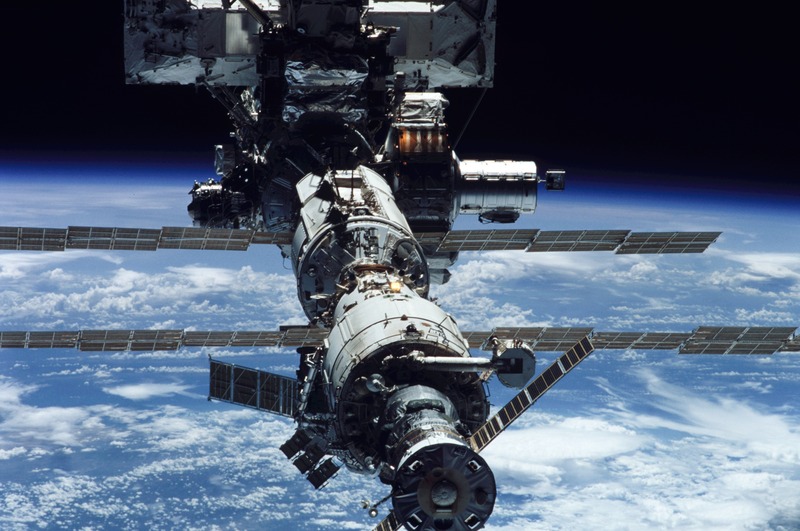 If 35 years of Flight Director experience at NASA, building relations with the Russians at the MIR Space Station AND overseeing much of the building of the International Space Station isn’t enough to get you excited, there’s more. Paul is also the Editor-in-Chief for Kitplanes magazine. Always an avid aviator throughout his career at NASA, he continues to enjoy flying airplanes with his wife (also a pilot). Paul’s career has largely been one of Experimental Aircraft. The Space Shuttle was always considered experimental, and now he works within the experimental field in working with Kitplanes Magazine. Get ready to lift-off! This is an episode not to miss. 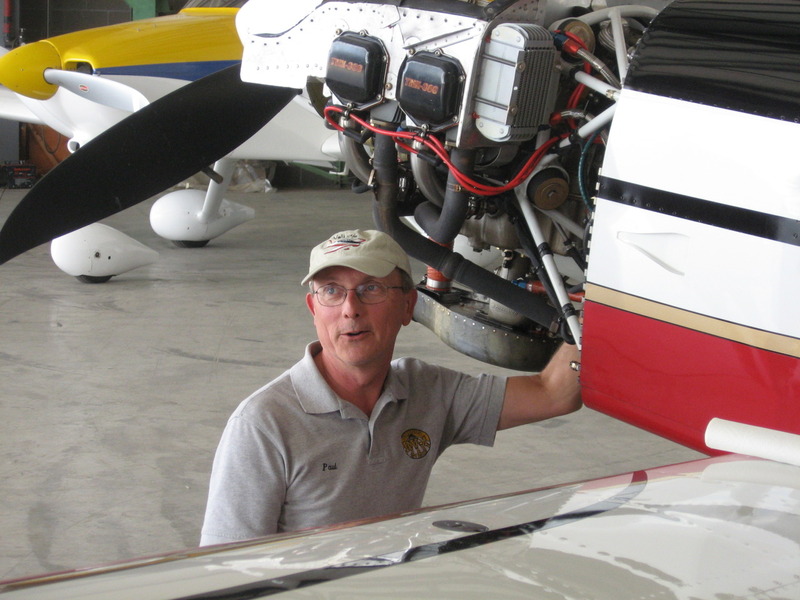 Paul Dye has over 40 years of aviation experience as an engineer, builder and pilot. His scope has ranged from restoring J-3 Cubs to planning and leading manned spaceflights. His love of flying machines dates back to early childhood, and he became involved with full-sized aircraft as a teenager, rebuilding J-3 Cubs with an FBO in Minnesota. He earned his degree in Aeronautical Engineering with a specialization in aircraft design and flight testing from the University of Minnesota in 1982. He worked in increasingly responsible roles within the US Manned Space Program since that time, both as a technical expert in spacecraft systems and eventually as the overall lead of many missions to space. 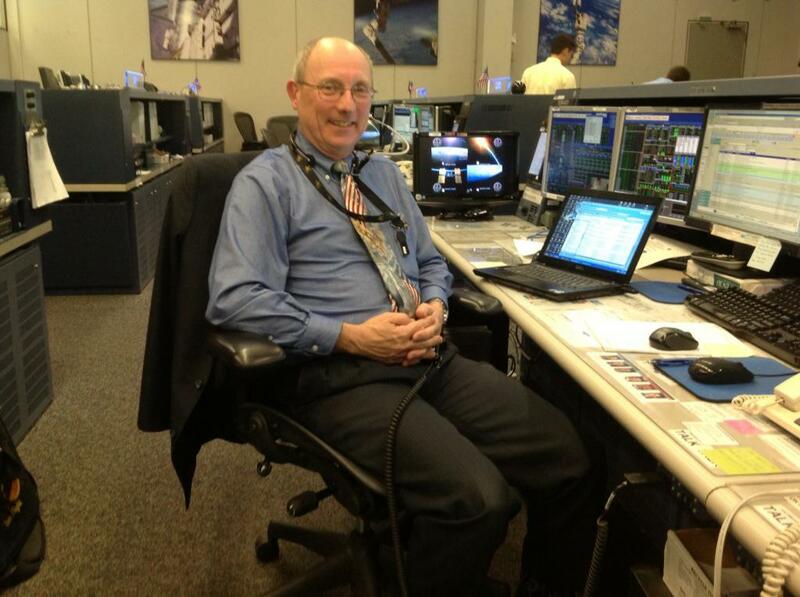 He retired from NASA in 2013 as the longest-serving Flight Director in U.S. history. The winner of many prestigious awards, he delights in bringing the lessons learned from the most advanced flight operations back to the general aviation world for pilots and builders to understand. He is well-known as a risk-management specialist, and advises designers and builders – as well as pilots – on ways to build and operate aircraft with greater margins of safety. He is a Leadership Consultant and speaker available to corporations and groups who wish to better their organizations and people. Mr. Dye has owned a number of aircraft over the years, and is currently deeply involved in the Experimental Aircraft movement. 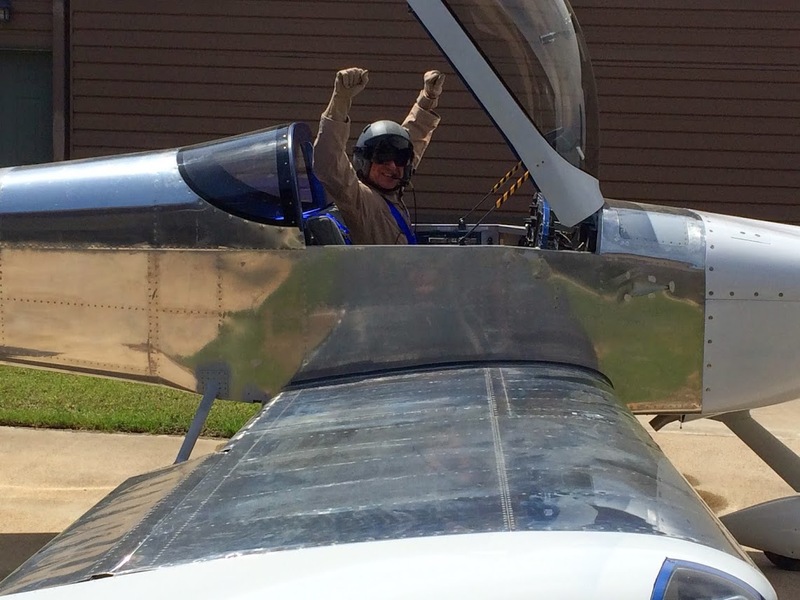 He is flying an RV-8 that he built himself, as well as an RV-6 which was purchased flying by his wife. He and his wife finished building an RV-3 in 2012, and have flown it from coast to coast and from the gulf of Mexico to the Canadian border. He is an EAA technical Counselor and Flight Advisor, and does extensive product development testing for a number of avionics and airframe accessory manufacturers serving the experimental market. He has a Commercial Pilot license, and routinely crisscrosses the United States in his RV’s for both business and pleasure. Mr. Dye shares his airpark home near Carson City, Nevada with his wife Louise Hose, a Geology professor, internationally known cave explorer, and pilot. Their aircraft feed their love of travel and exploration, enabling them to be anywhere in the US with a single day’s travel. He is a Fellow of the Explorer’s Club and a NASA Alumni. Always a prolific writer, he has been a frequent contributor to type-club newsletters and web sites for many years. 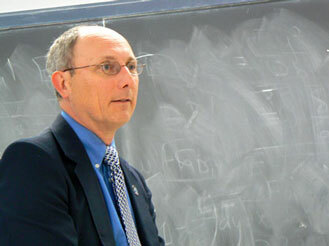 After retiring from NASA as a Lead Flight Director for Human Spaceflight, he became Editor in Chief for Kitplanes Magazine, a publication dedicated to supporting the experimental aircraft industry. He attends most of the large aviation meetings and fly-ins around the United States, test flies aircraft for individuals and for magazine evaluations, , and enjoys speaking to aviation and civic organizations on a variety of topics related to aviation. SPECIAL HONORS AND AWARDS: Numerous Outstanding Performance awards and Letters of Commendation. JSC Center Directors Commendation. NASA Outstanding Leadership Medal (four times). NASA Exceptional Service Medal. Fellow of the Explorers Club. 1980-1982 Cooperative Education Student, University of Minnesota, working at the Johnson Space Center in Flight Operations on the Spacelab Instrument Pointing System. 1982-1984 Systems Flight Controller for Spacelab Command and Data Management System during development and first flight. 1984-1986 Senior Flight Controller for the Spacelab CDMS and Instrument Pointing System, serving on all shuttle missions incorporating Spacelab hardware during the period. 1986-1990 Senior Mechanical, Maintenance, Arm, and Crew Systems (MMACS) Flight Controller for the Orbiter, including first reflight and many subsequent missions. Responsible for operations development of Orbiter Landing and Deceleration System Improvements, including the Drag Chute. 1990-1993 Head of the Mechanical and Crew Systems Section, Mission Operations Directorate, with overall responsibility for flight support and crew training for mechanical, hydraulic, and crew systems (including crew escape and In-flight Maintenance). Served as Systems Division expert on Russian Space Systems and Integration for Shuttle/Mir Missions, as a member of the Headquarters Committee on Flight Crew Selection Standards, and Deputy Chairman of the Hubble Space Telescope Review Team. 1993-2008 Selected as Space Shuttle Flight Director in November 1993. Trained for the Orbit Flight Director position during 1994 and served as Flight Director for STS-63, the first space shuttle Rendezvous with the Russian Mir Space Station in February of 1995, as well as STS-71, the first shuttle mission to dock with the Russian Mir space station, in July of 1995. Mr. Dye went on to serve as Flight Director for STS-69, a shuttle mission featuring the second flight of the Wake Shield Facility and a host of other science payloads. He served as Flight Director for all Shuttle/Mir missions with the exception of STS-89, and his first mission as the Lead Flight Director was the STS-79 mission, which returned the NASA 2 Long Duration Astronaut from the Mir. He was also the Lead Flight Director for two more flights to Mir, STS-86 and the final mission, STS-91. He went on to Lead the STS-99 Mission in February of 2000, which carried the Space Radar Topography Mission payload, a radar interferometer that mapped all of the earth’s surface between the latitudes of 60 degrees north and south. Since then, he as acted as Flight Director for numerous missions to the International Space Station. He has flown 34 missions as a Space Shuttle Flight Director (9 as Lead Flight Director) to date. In addition, he serves as an ISS Flight Director during Increment Operations when time permits. During the period after the Columbia accident, he served as the Strategic Air Search Coordinator in the search for shuttle debris along the entire ground track. Mr. Dye finished the Shuttle program as the longest-serving NASA Flight Director, having flown 39 missions as a Flight Director, 9 of those as the Lead Flight Director. He was the Lead Flight Director for Shuttle rescue operations , and in particular, STS-400, the rescue mission for the HST servicing crew. In addition, he served on special NASA-wide study groups related to Safety and high level manned system requirements. He also served as the Mission Operations Directorate Flight Safety Officer, responsible for flight safety awareness and education for manned space flight. He finished his NASA career as an active Flight Director for the International Space Station and a training mentor for flight controllers and Flight Directors. Mr. Dye retired from NASA in January of 2013 having flown the entire Shuttle Program, the entire Shuttle/Mir Program, and helped bring the ISS through its assembly and into its operational phase. T minus 3, 2, 1, and lift off. This is AviatorCast episode 71! Chris: Welcome, welcome, welcome aviators, you’ve landed at AviatorCast. My name is Chris Palmer. From the first powered airplane in the sandy hot Kill Devil Hills, to one of the most complex flying machines in the cold dark vacuum of space orbiting our home earth, aviation is not only a thing of universal impact, but of personal impact. For me, aviation is my life’s passion. Perhaps it is for you as well. So welcome to this, the 71st episode of AviatorCast. I really love seeing that number go up and up. It’s great to be with you guys each and every week as we talk to inspiring aviators and get to know more about them as we get insights into the aviation industry. Maybe you’re out there looking to reignite the flame of aviation within your passion, and perhaps you’re looking to get the courage to fly. You want to know more about flying and even from week to week learning a bit more about flying for those of you that are just starting out, for those of you that are building hours, or for those of you that have been aviators all your life. There is much to learn on this show AviatorCast and it is my pleasure to have you guys here each and every week. I absolutely love being with you. So I’m excited for another episode this week, and these next three episodes are actually going to come over the 4th of July weekend 2015, and they will be kind of patriotic episodes if you will. So we’re starting out with a really great one, and on today’s episode of AviatorCast, we welcome Paul Dye. So Paul Dye is a very, very fascinating person. He was the former flight director for the NASA space shuttle program for 35 years. He is from what I understand the longest standing flight director ever at NASA that includes all of their Mercury and Apollo missions, all that stuff which is a pretty big feat. He oversaw many of the space shuttle missions to the Mir space station, the International Space Station, and even more. So this guy has done a whole lot not only with the space shuttle itself and the missions it did but also with relations between the United States and Russia in continuing programs there, and also the building of the International Space Station. What about this, this next thing, do you ever wonder where those beautiful 3D terrain maps come from say for synthetic vision on your gulf stream if you have one of those or more commonly on your G-1000 or even the EGPWS or GPWS, do you wonder where those come from? Well, believe it or not, that actually came from a space shuttle mission STS-99 which mapped the topography of the earth, compiled all that data and eventually it got into products like we’re seeing today where you’re flying along in 3-D terrain within a Garmin system and you see the different levels of caution that are on the terrain. So pretty impressive, that actually came from a mission on the space shuttle that actually Paul Dye was the flight director of and he talks about that as being of his most memorable missions. You’ll learn more about that later. Now, Paul has always been a pilot and so when NASA stopped doing the space shuttle program, he left NASA and now he is the editor-in-chief for Kitplanes Magazine. He is a very involved aviator, always has been, and so he is not only this guy that has really had a huge part in the history of flight if you will, if you want to consider space flight as part of the history of flight which I absolutely do myself. Will I ever fly a spacecraft? Probably not but I still think that it’s as connected to aviation as the Wright Brothers were so pretty cool there. But not only was Paul part of space flight, but he is also a huge aviator himself, passionate about aviation, has his own airplanes. He and his wife fly. So some very interesting stuff there to listen to and we eventually get around to that in this interview as well. This was an awesome interview. I’m really excited for you guys to listen to it. So thank you so much Kristoff, I believe that’s your name, KristoffDoe. Really appreciate it. It’s very cool that you recently got impassioned by aviation and what’s happened to you is what happened to every aviator at some point in their life and that is is that you caught the bug, and it is likely that that did happen in the Grand Canyon when you went in on that helicopter tour. I’m really excited that you’re pursuing it, that you’re excited about getting into flight sim and using that as kind of a segway into getting your PPL. I absolutely encourage you to do that. So keep us up to date on your story. Until then, I am going to send you an AviatorCast t-shirt. I’m really excited to do that, and again, thanks for your review. So on that note, a bit of an update on the AviatorCast t-shirts. I had all the designs come across my desk in the last 48 hours here, and I think we’ve landed on a final design that is going to end up being on the t-shirt. Now, we’re going to kind of do seasons of these t-shirts or versions rather. So the first printing will be of t-shirt A and the next printing will be of t-shirt B. So each t-shirt that we create here on AviatorCast is going to be exclusive. It’s not going to be something you can buy. This is only going to be something that you can win by getting your name read on the show. Now I know that’s pretty rare so I may come up with some other contests and some other things that you guys can do. I may be giving them away in other instances in the community. So these are going to be rare numbered limited edition t-shirts that you can only get here on AviatorCast and things that are connected to AviatorCast. I think that it makes it cool and exclusive and I believe that you guys will enjoy wearing these t-shirts and that’s how we’ve taken the direction of this. You’re not going to see AviatorCast plastered all over this thing, but it’s going to scream aviation and it should look pretty darn cool. So I’m not going to show that to you guys quite yet. I’m imagining that I will be able to show you here in the next week or so. We’re finalizing the details there and then we’re going to send it off to the printers and have about a hundred made, something like that, so not too many. So yeah, really excited about that, that’s the update. Again, one is going to go to KristoffDoe. If you want to review AviatorCast, you can get one as well. It’s just our way of saying thank you for joining us each and every week and a way to encourage you to share the podcast because the more listeners we get here, the more people we can get impassioned about aviation. So, we have a great episode today. I’m really excited to talk to Paul Dye here or at least show you guys the conversation that I’ve already had with Paul. So let’s get right into that. Here is Hangar Talk with Paul Dye. Chris: Alright everybody, we are honored to have a very special guest with us today on the show. Paul Dye. Paul, thanks for joining us on AviatorCast. How you doing? Paul: Great to be here. I’m doing well. Chris: Great. Man, we have a lot to talk about. You are a man of many stories. Tell people just kind of the elevator pitch of what your career has been like and what you’ve done. Paul: Well, I always tell people I’ve been one fortunate guy. My mother tells people whether it’s true or not that the first word I ever said was airpoo looking up at an airplane flying over. My parents didn’t fly but they are very supportive of what I was interested in and I can’t ever remember a time when I wasn’t interested in flying machines. And went for all the models and U control models and about the time I thought I was going to get into radio control, I got the opportunity to work with a fix-based operator with an explorer post, I guess I was 12 at that time, to rebuild a couple of wrecked J-3 Cubs. We worked on those a couple of nights a week for a couple years and got them flying and then we were given the opportunity to learn to fly for gas and oil basically. So that was a deal you couldn’t pass up and I was soloed a 16 at licensed at 17 and was kind of a hangar rat so we got to fly that came through and snuck a ride where we could. I went to the University of Minnesota which is where I’m from for aeronautical engineering and thought that my plan was go to work for Bellanca Aircraft up there in Alexandria when I graduated and darn if it didn’t go bankrupt about the middle of my college career. I got the opportunity to intern with NASA down in Houston. Had no idea what I was going to be doing but when I got there, they had put me in the operations director for the new space shuttle program. 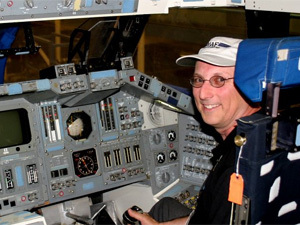 So I was a space shuttle flight controller for a number of years, about 10-12 years and then was selected as a flight director for the space shuttle program, and I did that 20 years. I was the longest serving human space flight flight director in US history. It was a lot of fun. It was a great machine. We did a lot of fascinating things, a lot of work with the Russians, a lot of building of structures. We built a space station. I retired in January 2013 after we retired the shuttle, and then I flew the station and passed everything I could down to the next generation. I had spent a few years, my last years with NASA kind of freelance writing, doing some aviation writing for Kitplanes Magazine. When I retired, they asked if I might be interested in taking over the magazine. I have to tell you that I have absolutely no experience whatsoever in writing a magazine, they still insisted, so that’s what I’ve been doing since then as editor-in-chief of Kitplanes Magazine and kind of enjoying the opportunity to get out and fly a lot and meet stuff. There’s the thumbnail sketch for you. Chris: Whoa. That’s a lot. Yeah, I mean, that’s going to be really fun to get into. So let’s just dive right in. You kind of started off with the beginning story. The way I always start out the show is I ask, how did you fall in love with aviation? You touched on that a little bit more. Do you have any specific memories about that or did that sum it up. Paul: I grew up, my early years in a small town in Northern Minnesota, and I remember that down at the city park, they had pear, and there were floatplanes, there was a Cessna floatplane down there and they gave rides. And boy I just was fascinated about getting in that thing and going for a ride. Finally my dad took me and I probably was 4 or 5 years old and I could barely see out the window from the backseat but I have always been fascinated by flying machines, just the freedom you get in the air. And of course I grew up in the 60s with the stories, there were a lot of folks that I worked with or that I dealt with that actually have been in World War II and had flown airplanes. It was kind of the golden age of general aviation there in the 50s and the early 60s. Chris: Great. So, I guess, what advice would you lend to anyone that is going through kind of that same phase that you went through where they’re in their teenage years, there are definitely some opportunities out there. It kind of sounds like you had the perfect opportunity. Paul: I had a great opportunity but I firmly believe that you make your opportunities. There are programs now in many schools where kids are building kit airplanes as part of their high school credits, part of their high school curriculum, teen flight and a few other things like that, Eagle’s nest. There are more and more schools that offer that. And here are kids that were at the same age I was when I was working on airplanes at junior high and high school that literally worked on airplanes. There is something unique about that. Somebody talks about how they went out and played football and somebody went out and talked how they had a great time working on their car, and you’re sitting there in school talking about how you rigged an aileron or reinstalled a radio. You have to have a passion for aviation. People talk a lot about how cost is driving people out aviation these days. Well, it probably is but the truth is aviation has always has been expensive. But if you can find the right mentor or the right in, you can get in and sweep floors in the hangar and change oil and do that kind of stuff in exchange for flight time, and you’ll find a way if you really, really believe it. Chris: Yeah. I really hope that with this show, we create a whole army of sweepers and airplane lovers. Paul: Yeah, you’re right. We really need those folks, you know. We were an explorer post. That was an explorer post and I was a scout before that and we literally, we had airplanes washes to raise money and it’ kind of fun when somebody taxis up in a really fancy airplane and says “Go ahead and wash it kids,” and you get to crawl all through it. That’s pretty neat. Chris: Gosh that’s wild. So, what was your flying experience like between the time that you got your private pilot at 17 and when you started NASA. Obviously we’re going to talk extensively about your NASA experience. But what was your flying experience like in between there while you’re going to college and things? Paul: Well, you know, it was funny because that’s probably the time in my flying career when I flew the least because I didn’t have any money, I was a college student. I took a side trip into the diving world and I was a master diving instructor to earn my way through college. But I would fly whenever I could afford to get some flight time. I was in the Twin Cities in Minnesota and a fun thing to do was to find three other people who’d split the cost and fly up to the Luth which is about an hour flight in a Cherokee, and have dinner and then fly back. I started off doing that in high school. College was a bit tight, trying to maintain flying and currency. Chris: Right. Great. Well tell us a little bit about, one thing that I just recently started to come into knowledge about is the Iron Belt in Minnesota. And tell us a little bit about that history and how that’s played in the aviation as well. Because it’s really interesting all that has come from that Iron Belt. Paul: Well you know, we’ll probably talk later. My NASA call sign is Iron Flight. I picked that to honor my grandfather which was an iron miner and I kind of come from that heritage, I consider that my home part of the state, was the Iron Belt. 97% of all iron ever mined in this country came from up there and really built the industrial base of this state. It’s amazing because when you fly around up there, you get to see the mines and you realize that it’s a significant anchorage but it’s nowhere as big as everything you’re looking at. We haven’t really destroyed the wilderness that much, there’s an awful lot of wilderness up there too. Chris: Right, yeah. I just found that really interesting and you know, I didn’t know Bellanca was from that area, just going to the aviation connection, but obviously we’ve got Ceres up there. Paul: Right. Ceres is out at the Luth. Now they weren’t there when I was living there. They came along afterwards but there’s fair heritage there and they got a lot of folks at UND and North Dakota and Grand Forks, they got quite an aviation program so that’s neat. University of Minnesota, Robert Gilruth who was the father of human space flight in America was a graduate of University of Minnesota. He also developed most of the flight test techniques used for qualitative flight testing back in the 30s. Deek Sleighton was on my department. Chris: I recognize that name. Speaking of which, are you going to Oshkosh? Paul: Oh yeah. I’ll be at Oshkosh. We’ll be there. My wife is going to fly in one of our airplanes and I’ll bring another one and we’ll spend the whole week. Chris: It just remains me of Jim Lovell because he’s going to be there this year and I thought that was going to be really cool. Paul: Yeah, I’m hoping I get to connect to those guys and I think Jean Grant is going to be there and Jean is an old friend. But you know, when you go there and you’re doing stuff, when you work in Oshkosh or working at Oshkosh, you’re really, really busy. You go up there with the intent to run in to all sorts of people and you discover at the end of the week you haven’t done a third of you wanted to do. Chris: Yeah, exactly. I know the feeling. Well very cool, it will be good to see you there too. I’ll be there. It’s hard to believe it’s just a month away now from making the journey. I’ll be going down, you’ll be going up I guess. Where are you living at right now? Texas? Paul: Right now, we’re in Carson City, Nevada. A little airpark to the east of Carson City called Dayton Valley Airpark Alpha-34. Real nice little spot here out near Lake Tahoe. Chris: Great, great. Alright, so let’s get into the NASA stuff. Let’s unfold that a little more. Tell us how you, first off, tell us a little bit how you grew up into the flight director position and then you can tell us about what the flight director position does, and then let’s talk some stories from there. And I said “Well great but I don’t really know anything about computers.” And they said “Well you better fix that quick.” And it turned out the space lab was a European set of equipment that we put in the payload bay at the shuttle and provide a scientific laboratory, and the main computers on the space lab were actually 6502 chips computers which are the same chip that was in the, if I remember the number right, in the Atari-400 and 800. So I went out and bought myself an Atari-400 with all the money I had, and learned how to program and machine code and became an expert on that system, so that was kind of neat. And so I became wrapped up in these, what we call the mechanical systems of the orbiter, landing gear, payload bay doors, the hydraulics, axillary power units for the flight control services, the hatches, the structure, all the crew systems from to the suits to the seats to the food kitchen. All of those things were part of it. And so I have a really broad background in the orbiter. And I was one of the folks who did a lot of the development work on the drag suit. We didn’t have a drag suit on the shuttle when we started flying, we added that later because we were burning up breaks. So I did an awful lot of development flying in our simulators to develop flying techniques for the touchdown and roll-out, things like that. I spent a lot of time in the cockpit which was a lot of fun. And then after doing that, I was a section head for that group, kind of the guy in charge of all that, and we got word that the president of the new Russia had met with president of the United States and had decided that it would be a good idea if we cooperated in space because they have a lot of space and rocket scientists who didn’t have any money and they were going to go to the highest bidder and it was really a good idea for us to keep them involved in peaceful programs rather than going to work for somebody in a country we didn’t like. So I was asked to go over and learn something about their space program and what we could do with the Russians in space as a technical guy. I went over there with a couple other people and we sat across from our counterparts and came up with a solution that they had a space station but their space shuttle program had been shut down and we had a space shuttle but no space station and maybe we can go and visit their space station with a shuttle. And out of that grew the Shuttle Mir Program. We visited the Mir with the shuttle 10 times, we docked nine times and we exchanged astronauts, put astronauts on board and had them live up there. By that time, I was asked if I would be a flight director, and the flight director is, easiest way to explain that is the guy in Apollo-13, Gene Kranz, the guy in the white vest and a crew cut in the middle of the room, kind of the conductor of the orchestra. And since we were going to be working a lot with the Russians and now I had had a lot of technical experience with them and Russians really like to work with individuals that they know well, I was selected in class of 1993 to be a flight director, me and two other fellows. So I was the 35th director in the history of the human space flight program here in the US starting with Chris Craft as the number one, Gene was number two. It was very exciting time. So I flew the shuttle program as a flight director from ’94 through the end of the program. Chris: So I have an odd question. How did you celebrate when you found out you were going to be the flight director at NASA? Paul: You know, I may have gone out and gone flying. Chris: That’s a good way to celebrate. Paul: Just to get out a way by myself and reflect on the incredible mountain I had to climb because you go from being an absolute expert in one of about a dozen disciplines that are required to fly the shuttle, and then you’ve got to become an expert on all the rest of them. So that training year is a very intense year. It takes about a year, it’d take a really highly qualified person and get them to where they’re ready to fly their first shuttle mission as a flight director. Chris: I like how you refer to it as fly, as if you were right there with the crew. I really like that. Paul: Well, my philosophy has always been that you need to be, you got to understand the mission control came out of the X-15 program, the concept of mission control, it’s the same people. And the idea was that the guys that were flying, if you look at the X-15 history, the guy who was the flight director for the X-15 was just one of the pilots assigned to the program who was flying that day. And the idea is that the guys in the cockpit need to know that they guys on the ground know exactly what they’re going through. And that’s not true with all of our flight controllers and flight directors in today at NASA but we have enough of us that the flight crews knew that we have their best interest in heart and we knew that you couldn’t ask them to use three hands at once if it was only one person because we were cockpit qualified and knew what it took to do all the jobs. Chris: So what does it mean to be cockpit-qualified in the space shuttle? Paul: Well, that means that you basically can handle the job in any of the seats. We did an awful lot of training and we trained people generically to get their, if you call it their license, it was a NASA internal certification for their positions, and then we also trained for specific missions. While we did a lot of these generic training and that worked for the benefit of our flight controllers as well as our crew members, and you have a crew in the cockpit simulator and you’d have a team in the mission control center, and you’d be training together and it was very, very realistic. You couldn’t tell a difference between flight and a sim. Well, about the last two years of the show program, we were really winding down. We were running out of astronauts, a lot of folks had left and so we didn’t have anybody to support the generic training. So we formed up a couple of crews of flight controllers and instructors, we called ourselves the Astronots, and we had our own patch and our own plaques and everything, and that was probably one of the funnest things of the program because I’d spend a day in the control center as a senior flight director and I’d spend another day in the cockpit as a commander, and then another day in the control center evaluating somebody. So I get three days a week flying stuff, it was great. Chris: Well, I’d imagine too during that time that you’d almost be in this nostalgic state of mind where you knew it was coming, you knew that the shuttle program was going to be shut down, and you could really kind of step back and appreciate the fact that you are a part of this and part of the end of it too. Paul: Absolutely. And I had flight controllers working for me and folks in the cockpit that weren’t born when we flew SDS-1. So I was really the old man in the whole thing and it was a lot of fun. It’s nothing like getting down the cockpit and spending whole day flying a rendezvous with the space station, and actually getting there with all of the failures that they threw in front of you. Because when we would be doing those sims, we’re training all the people and we really are training front room operators, the absolute world class experts in their field. So if somebody goes over there for an eight-hour day and they get one failure in their system, it was a complete and utter waste of their time, that was worthless. But if everybody has one failure in their system, the flight director and the flight crew was working 12, because it’s that many disciplines. You got to give every flight control four or five or six things to work during the day which means the flight director and the crew is working a hundred failures. So it’s a busy day. Chris: Wow. That would be mind-numbing, I can imagine. Paul: You just got to keep track. At some point, you switch from keeping track of what has failed, to start keeping track of what do I have left? Chris: Yeah right. No kidding. That’s wild. What are some of your more memorable missions? Paul: I think, surprisingly enough, I flew all of the missions that the shuttle took the Mir in one capacity or another, and I flew a great many of the missions to the space station, was in charge of great many of the missions to the space station as we built the space station. But in between, there was a flight that I think I’m most proud of. It was STS-99, it was the space radar topography mapper. And I got to tell you why this was neat. We flew a high inclination orbit, we were around 60 degrees north and south and we had a three-dimensional radar mapper in the payload bay and then it was like a stereo viewer. So we had this 200-foot long mass that we extended out to side with another antenna. So with the orbiter flying with its payload bay towards the earth and flying over the earth, we could map in three dimensions every square meter of dirt between 62 degrees north and 62 degrees south. You got to think about what that means. We just in a 10-day period, a 10-day mission, we created a topographical map of the entire planet which is something that mankind has needed to do since mankind first crawled out of the ocean or whatever. And that is the basemap for topographical maps for the next hundred years. Paul: Yeah. If you’re flying synthetic vision, you’re using our map, you’re using our base map. If you’re using Google Earth, you’re using our base map. If you’re doing surveying, you’re using the base map. If you’re in the cellphone industry trying to figure out where the best place is to put towers, you’re using our map. If you’re looking for cave openings in Afghanistan in the early 2000s, well, you’re using the map. Chris: Wow. That blows my mind. I’m just looking at pictures here. Paul: You know, I sit here everyday and I look at the Earth. Every couple of weeks, we get a really nice flyover of the space station here in Nevada. Clear skies, nice dark night, you see the space station go over. It’s the size of a football field or my Canadian friends like to say, it’s the size of five hockey rinks. And I look at that I go “I built that. Me and my hundred thousand closest friends built that.” And that’s really neat. And that is our laboratory and space that will help this species get off the planet and go somewhere else. But I still look back at SRTM, STS-99 is probably the mission that affects the most lives. Chris: Yeah, that’s incredible. I had no idea. I mean, obviously I knew that at some point that happened but I didn’t pinpoint it to a mission or anything. That’s amazing. Alright, any other stand-outs that you can think of? Paul: Well you know, they all kind of blend together and people are always asking me for war stories and the problem is we probably trained 10 to 1 so for every hour we flew, I would spend 10 hours in the control center doing simulations and most of the real horror stories were during simulations, they were make-believe. Chris: Yeah, that’s wild. Cool. Just looking at the crew here from STS-99. Paul: Oh yeah, yup. Good group of folks. Chris: What’s the sense of pride like working for an organization like NASA?I can just imagine that it’s… I mean, is it like family? What is it like? We flew the highest flying, fastest flying airplane ever built, and we had a generation of people that knew how to make that happen. So yeah, I’m very, very proud of the work we did and the teams that we built, the people that we have. That was such a privilege to be working with people like that. Chris: That’s amazing. Did you ever work with the Hubble telescope at all? Paul: Oh yeah. I was the flight controller when we deployed it. Paul: And then I was flight director during most of the servicing missions. The last servicing mission was interesting because after the loss of Columbia, we made it a policy that we would always have a rescue capability for our crew. Now, since at that time, every mission on the manifest except for the last Hubble servicing mission was going to the space station, it was fairly simple. If you had damage to the vehicle and you got up to the station, you would just leave the crew on the station until you got the next orbiter ready and set it up and you’d bring those people home, and you jettison the damage orbiter. But the Hubble is in a totally different orbit. You can’t go from one orbit to the other very easily. And so we needed to have a rescue capability ready to go. For that last Hubble mission, I was working the overnight shift as flight director, but I was also the lead flight director for STS-400 which nobody has ever heard of. 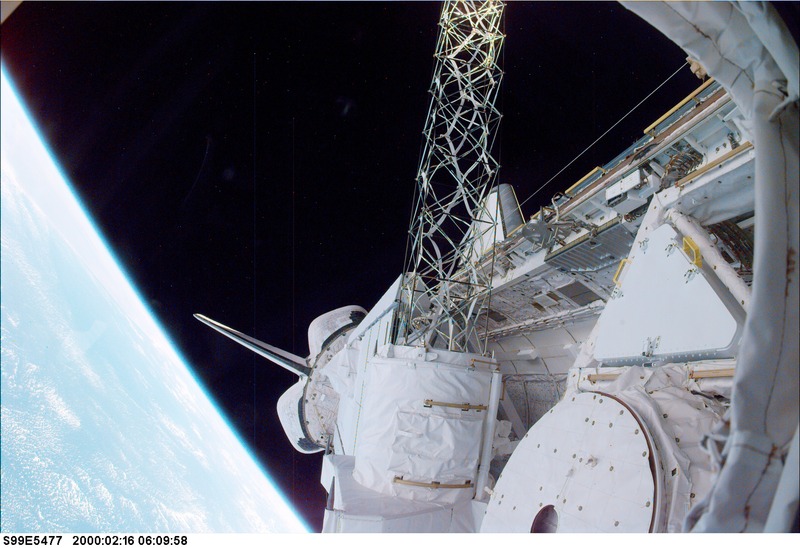 STS-400 was a completely planned and paid for mission which we were running in parallel for with to go up and rescue the Hubble crew if we needed to. 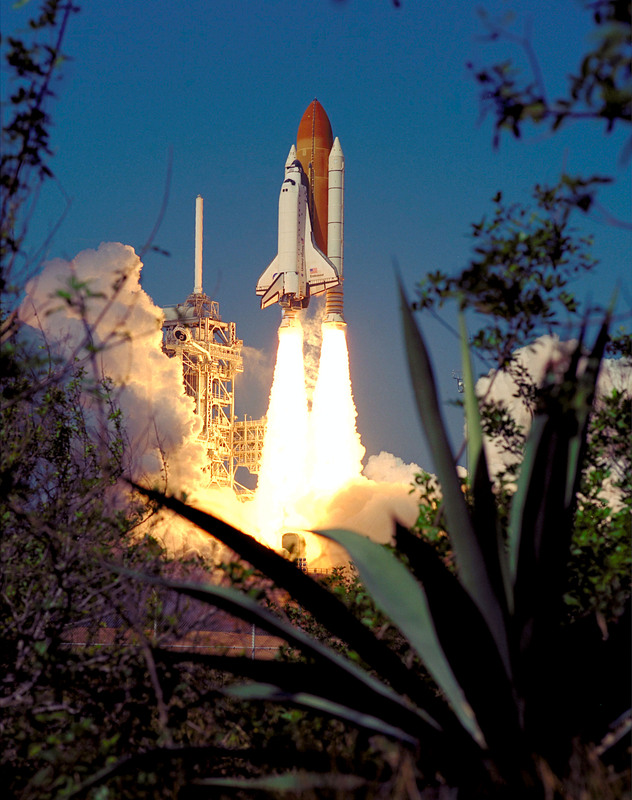 And when the Hubble vehicle launched, we were 12 days from launch for STS-400. The crew got down to the cape and their suits were hanging in the suit room. That was where they were ready when we finally were able to relieve them and say we’re not going to need the rescue vehicle. And a couple of those guys got to fly in the last shuttle mission, the commander of the last shuttle mission Fergie was the commander of STS-400. So they had to train for the STS-400. They had to put their whole lives into it for a year and then not get to fly it. Well, they got to fly the last shuttle mission so that worked out pretty well. Chris: Yeah, seems like NASA tries that out with some of their guys that do the run-throughs and do the tests. They try to watch out for them later on down the road. I’d go back to Jim Lovell where he orbited around the moon and then he got to go back and give it a try and obviously we know that Apollo-13 failed. They gave him a shot of doing that, you know. Paul: Yup, yup. Cycle people back in. Well, we spent so much money training people that we need to use them. Chris: Yeah, definitely. It’s obviously a huge investment especially since they’re the cream of the crop or the best of the best and everyone knows that. Okay, so just random question, let’s not spend too much time on it, are you angered or humored by shows like Armageddon where they’re taking a shuttle or something to blow up a meteor something like that? Chris: Right, right. I can imagine. But it makes for good entertainment. I’d go back to this movie in the 80s called Space Camp and I just love that movie. It was a good one. Paul: That was one that most of us never could get comfortable watching. It was a little too close to the Challenger accident. Chris: Oh, was it? Oh gosh. Paul: Well not in plot but in time. Chris: Yeah. Time and emotion for sure. So let’s kind of take the opposite perspective there. Let’s move into maybe more of a sensitive topic if that’s okay. What are the ripple effects when something like that happens because it’s obviously, it’s something that’s felt by all of humanity because I think that humanity looks to space travelers with awe and still this appreciation but what is it like internally at NASA when something like that happens? Paul: Well, we are in the experimental age of business and we know that you lose people. If you got to Edwards Air Force Base and look at a street map, every street at Edwards is named after somebody who was killed in an accident. And that’s our heritage. Now, it’s horrible everytime it happens and we do everything we can to make sure that everybody makes it home for supper. That’s our goal. But the thing is, we’ve been losing people in exploration since the first human left the valley and walked over a ridge and got clobbered by somebody else, by whatever. And so we sit down, we mourn, we say goodbye to our friends, and then we say, “Let’s get going. What can we do to keep the exploration happening?” The truth is that if you let yourself get too emotionally wrapped up in that kind of thing, you’re probably not going to survive in the business. I always tell people I’m a little bothered by the phrase “Well, we’re never ever going to let that happen again.” Well that’s true, but something else is going to happy. Chris: Right, yep. You’re working to prevent it but you can’t think of every single scenario. Paul: Right. After the Columbia accident investigation wrapped up, someone asked, Wayne, he was good friend of mine, flight director became the program manager. “So what was the failure that brought Columbia down?” And Wayne who is a very philosophical fellow, very well-read, he paused and he looked and he said “It was the failure of imagination. We never imagined that a piece of foam could knock the whole leading edge of the wing. We just didn’t imagine it.” And when you think of all the things that bring people down in aviation, there are all sorts of things but there are some of those crashes that you just go “We never ever thought of that.” Just never thought of that. Chris: And Challenger was the same way right? Paul: Challenger was the same way. And there are a lot of folks that were pointing fingers early on but you know, I hate to say this but if you wait until every single person in the program is sure that it’s safe to fly, you will never fly because there is always going to be somebody who has reservations. Now, what we learn and we teach people is that you’ve got to listen to those people. You’ve got to make sure that they’re heard, that you understand what their concerns are. You got to understand the technology. They’ve got to bring you story which is convincing, and most people are happy to have a decision go against them as long as they fully believe that they were heard. And so we spend a lot of time teaching upper management how to listen to the concerns of the guy in the back of the room. Chris: So as a flight director, are you in a sense doing that when an actual mission is happening in a live situation where you have a guy from a department come up and they discuss with you “Hey, I’ve got these concerns. These things are going on.” So is that a typical scenario? Paul: That is a very typical scenario. That happens all the time. And you have to understand, we have a saying in the flight director office where we have that, that never make the right direction too early. Always leave yourself, when you discover that you got to make a decision, figure out when you have to make that decision. And don’t make that decision so early that you haven’t had a chance to hear all the evidence. And you’ve got to be enough of a people person that people can approach you. If you’re the royal at high executioner, nobody is going to come tell you anything, and you need to get people to understand that you’re willing to listening to them. Chris: So have you had anything that has popped out from a situation like that that you can think of at the top of your head? Chris: That’s funny. Do you still have dreams of people calling you Flight or whatever, talking to you in that way? Paul: Yeah. We have a whole Facebook Community where people keep using their call signs. Paul: But there are times when your past catches up with you. I got a lot of gray hair and I turned gray after Challenger when I was only in my early 20s. Chris: Yeah, well geez, with the kind of schedules you’ve been talking about, that would do it for sure. Were you flight director during Columbia? Paul: That was the one mission I had off in that era. It was kind of an odd mission, it was a science mission that was not going to station. Most of us were doing all of these missions to go build a space station. And there were still some science, we still wanted to do science stuff, so they basically collected science experiments until they had enough to fly a mission and they went off and did that and it was kind of a standalone group that was kind of doing it. So I kind of looked at it as a little vacation to be honest. I wasn’t flying that mission. I wasn’t paying a whole lot of attention during the orbit phase. I had gotten up one Saturday morning to go out to the airport to go flying, I had a Grumman at that time, and got out towards the airport and it was foggy and I realized “Well this isn’t going to work at 00” so I turned around, stopped at an autopart store to pick up something and walked I, I had my flight jacket on and a guy looked at me and said “What happened to Columbia?” and I said “I don’t know. What happened to Columbia?” and he says “Well, it’s coming down in pieces all over Dallas.” Right about then, my pager went off, my phone went off and I didn’t have a life for the next six months. Chris: Goodness. Different type of disaster. Paul: Well it was. It was very, very strange that it happened very close to Houston. I was hoping to run what we call the Air War up there in East Texas where we had all sorts of aircraft of all different descriptions searching for debris using eyes, using sensors, using imagery from stuff that probably we still can’t talk about. It was a lot of aviation but truthfully, we found most of the debris with boots on the ground, just walking shoulder to shoulder walking through the swamps the forest. Chris: Wow. How much of it did they recover? Paul: Very large amount. About 80,000 pounds of a 200,000-pound vehicle. Our estimate is that probably a third of it just turned into vapor and then there are still a bunch probably in the reservoirs of East Texas that you couldn’t dive in that stuff, those were all flooded forests. Chris: So you guys already had a hypothesis before that time right because the foam, wasn’t the foam reported as having come off. Paul: We knew that fairly early as I recall and there were hypotheses. We actually found the data recorder that had the necessary data sitting in the open virtually intact a couple of weeks after getting out there and once we saw that, it was pretty easy to see what had happened. Chris: And then from there, it’s prevention for the future, different procedures, kind of like the rescue option that we talked about. Paul: Yeah, we had the rescue capability and we developed an inspection capability so that on flight day 2, we pull out our robot arm with a big long extension on it with a camera and we surveyed the belly of the vehicle. And then as we approached the space station from that time on, we approached, got about 600 feet below the station and then we get a 360-degree pitch maneuver, I guess you call it a loop in place, and then the folks onboard the space station had a 400 and an 800-mm lens and they’d survey the belly of the vehicle very carefully. So if we discovered that we had a problem, that’s when we would just leave the crew on aboard the station and jettison their orbiter. Chris: Wow. Yeah, I mean, those seem like pretty sound procedures for the future obviously. So is there anything else about the space shuttle program that you want to share before we move on? I mean, we could be here for hours. Paul: We could talk about it for hours. It was the most remarkable time in human history. People just have no idea the technology that they use today that has come from the space program. And forget about Tang and Velcro, those are jokes. But the technology that you and I are talking on is all microelectronics kicked off in the Apollo Program. The aerodynamics we learned, the capabilities we had are phenomenal. You’re always on a razor’s edge. Getting into space and back is just a razor’s edge kind of business. It’s just an absolute shame that we have essentially given up on the aerodynamic methods. If you want to get people into orbit and back, probably the safest most reliable way is in a capsule but we want to be able to have wing vehicles, hypersonics that will take us up and down and save the whole vehicle in the future. That’s what all the science fiction has in it so why shouldn’t we be doing it? Chris: And that transitions us perfectly into some of my next question is what are your thoughts on the future, not only the future of what NASA is doing, and I’m not completely familiar with everything that they’re thinking of and maybe you know some things that you can’t share, but also the privatization of space travel and what’s been going on there with Virgin Galaxy and things like that, so let’s talk a little bit about that. Paul: You know, I am a big supporter of commercial space. When you hop on an airline or you don’t hop on United States Government Airlines, you’d hop on Southwest or Air Alaska or something that’s a private corporation, and you do that because we need to have private industry taking those risks and doing that. You need government involved in research but eventually you need to get it out into the public sector and NASA has been incredibly successful in getting this technology out into the public sector for 50 years and most people don’t even know about it. But I think that, space is very, very difficult. Space travel, getting people into space and back from space is extremely difficult and the measure of a commercial space company is not how many successes that you have or how they deal with success but they deal with their failures. And I like Elon Musk’s programs with Space X, he’s been trying to land his first stage on a platform out in the middle of the Atlantic now for the past couple of launches and if you’ve seen the videos, they’ve been spectacularly unsuccessful but they’ve been closer and closer everytime and he’ll make it. And he’s willing to lose those things and take those risks. Orbital had a launch failure last year or in the past few months that blew up right off the pad in Virginia and they’re working to get back into the game. You need to have those guys. You need to have it. There’s a Heinlein novel from the 50s called The Man Who Sold the Moon and it was the first real space entrepreneur, great short story, I recommend it to anybody who is interested in the commercialization of space. Chris: Cool, that sounds good. I ought to grab that. How far off do you think it is, just your personal opinion? Paul: I have no idea. We’re in a political climate these days where for some reason, Americans don’t believe in taking risks and there are countries who are willing to take those risks and they will surge ahead if we let them. NASA is in a situation where people blame NASA for not doing new programs in the light and that’s unfair. You can only do what congress and the White House gives you money and a program to do and for the past great number of years, the administration and the congress have been polarized on opposite ends of the spectrum and so nothing happens and you got civil service stuck in the middle who are trying to do really cool things. You cannot do a space program in four years yet that’s the length of an administration, that’s how long you got. Chris: So do you often see that in the government, is you may have a president and a congress that supports the space program, they put more effort into it, more dollars just to have the rug kind of pulled out from underneath them by administration after that? Paul: Absolutely. The first thing a new administration does these days is erase all successful programs of the previous administration. But we don’t really get into politics that much. Chris: Yeah no kidding. Gosh. If there is anything that’s a waste of time, it’s that. Alright, I wish we could talk more. I’ll meet up with you at Oshkosh, let’s talk for a few minutes there. I’m going to be getting 10-minute interviews here and there from people, even longer if you have some time to spend there, but let’s get into the work you’re doing now with Kitplanes. Because the interesting connection here and you already mentioned the word, it starts with an E, it’s experimental. So NASA is an experimental organization. You’re taking a lot of that I guess same mentality that you learned through the years there, and now you’re working within Kitplanes. So tells us about the work you’re doing there, the work you’re doing for EAA, I know you fly Kitplanes yourself or experimental aircraft yourself, so let’s get into that. Paul: Well, it was the greatest opportunity I had. Like I said, I’ve always felt that I’ve riding. Well no, I don’t enjoy riding. I enjoy having ridden. But I enjoy passing on the things that I’ve been taught and the things that I’ve learned to others. I developed a niche within NASA of what we call flight safety although I really despise, well not really despise, I don’t like using the word safety because too often people associate safety with “Oh no, here comes the safety officer. Quick, wipe off that spilled coffee.” Safety is a little more important than that. And so I like to talk about risks and risk analysis and risk acceptance. I have a thing about the word risk management but I haven’t yet quite come up with the right term to use instead of that. But you do manage your risks and risk in important, risk is okay. What’s not okay is to take stupid risks, unstudied risks. You take a look at something you want to do and you look at it and go “Well, does this make sense?” Here’s the risk. Okay, I’m going to take a brand new experimental airplane up for the first time. As long as the wings stay on and it doesn’t catch fire, I can probably land it. Well, what happens if the wings come off or it catches fire? Well, how about I wear a parachute? At least I’ll come back alive. And that’s the process of risk mitigation. And then you say “Well, if it just blows up, I’m going to die. Yeah, what are the odds that it’s going to blow up? And you take a look at it and you go “Well, pretty darn remote.” So I’m going to accept that risk. And so I like to spread that work to people but you don’t just start writing articles about safety because nobody will ever read them. And so it’s kind of like giving a pill to a dog, you got to bury the pill in a nice tasty morsel of hamburger. Chris: That’s so true. I like that. Paul: Yeah. So we try and make sure that people are doing what makes sense in experimental aviation. I am all for experimenting and trying new things, that’s how we get new airplanes. When somebody has a radically new idea and they want me to look at it, I say “Well what are you trying to accomplish here?” If you think you’ve invented a hyperdrive, maybe you should check with a few other folks that have tried to do that. And so the risk has to be worth the reward. Now, the experimental aircraft movement began in earnest in the late 50s and back then in the late 50s or early 50s or in the 60s, if you want to build an airplane, you probably have to sketch it our yourself or buy a set of plans from popular mechanics, and try to find it scrounged together with the materials to make it happen. And there were a lot of people that were building airplanes but they never actually finished them. It was in the 70s that kit airplanes really started to appear where you could not only the plans but the box of materials that went along with it and it was most of the materials you needed to make it work. And then it matured beyond that to the point now where we have a CAD/CAM and CNC machine parts and pieces where you can buy parts for an all-metal airplane and hardly have to drill any holes. You click it all together and you’re almost ready to put ribbits in. So the kits are much more complete and the completion rate is extremely high. It’s hard to tell. Life sometimes gets in the way. Somebody who was perfectly capable of finishing it suddenly discovers that he has triplets on the way and the money ain’t there for the airplane anymore. But I would believe that the complete rate in the 60s and 70s was like 20% by the original biller and now it’s probably closer to 80% by the original biller. There are some amazing kit airplanes out there today and all across spectrum. I mean, you can build a simple little ultralight flavor that you can get on and go fly without even having an in-number and you can buy a kit to build a jet, and everything in between. Chris: Well that’s got to be a pretty fun industry to write about because it’s endless on the possibilities. Paul: It really is. And as editor-in-chief of the magazine, I get a chance to first off, fly a lot of really neat airplanes and I don’t like to be greedy. I pass the assignments around to other people and get other people’s opinion. I just don’t believe everybody should believe everything or anything I say without me providing evidence. Kitplanes Magazine is an interesting magazine. Now, I never knew anything about the magazine business until I retired from NASA and they asked me take this on. Most aviation magazines have a staff and they have staff writers. Kitplanes has no staff writers. Our staff is very, very small and it’s just production folks who are interested in airplanes. But all of the articles that you read in Kitplanes are sent in by contributors. Now, we have regular columnists, guys who write for me all the time, but they’re not on salary. They got paid by the piece. They’re freelance. And so I’ll frequently get an email from somebody saying “Mr. Dye, I saw this really cool airplane and I think it would make a great article for you guys to write about.” And I go “Okay.” And I write back to him and I say “You’re right. This is very exciting. Please write it for me!” Because I didn’t have anybody to send. Now, I do have people that I can call on and say I got a really cool story, I’ll throw it your way if you want to go do it. But then we try not just to cover just the new things. We try and go back and cover interesting things. My goal with Kitplanes magazine is that at the end of reading any article, the reader can go off and do something. They can build a part. We’ll tell them how to make a rib. Well tell them how to safety wire a bolt. We’ll tell them how to change their oil. We’ll tell them how to shop for an airplane. We’ll tell them how to test fly their airplanes. So the goal in my magazine is that the end of every article, we’ve given something something useful to a person that they can go use. Chris: I really like that. I mean, the practical side of aviation, just getting in and doing it has always been something that I’ve enjoyed. I think a lot of time, we sit on the ground and we talk about it too much. And even going back to what you’re talking about as far as risk acceptance, I’ve actually never heard that term before, those two words put together but I like that because at some point, you got to stop talking about flying. You got to stop talking about the safety part of it, and you got to get up in the air and you’ve got to go. There are some parallels there too with those out there that are having medical issues and having money issues. At some point, you’ve got to decide. Are you going to do it or you’re not going to do it? And you’ve got to do what you need to do to do it if that’s what you decide to do. Paul: That’s exactly right, and you just got to go fly. I think it was either Orville or Wilbur who wrote that you have to take the machine aloft. And so, it’s an amazingly fun position to be in. There are a lot of interesting airplanes to go try out. There are a lot of neat stuff to fly. Where else would I have gotten the chance to go fly a 90% scale Spitfire? Paul: Or the newest thing which I guess it’s hitting the streets just this week our August issue which is all about the subsonics which is the new personal single-engine single-seat jet from the Sonics kit company in Wisconsin. So here’s a personal jet you can fly, you can build it for $130,000 which sounds like a lot but if you start pricing what people actually put into experimentals these days, that’s not outrageous. Chris: And that’s one parallel we need to make to the listeners right now. You can go and you can get a brand new Cessna-172, a Cessna-172 as everyone knows is like the base airplane, that’s what you learn to fly in, $400,000. But in the experimental, when you’re talking a brand airplane that you essentially maybe build yourself and things like that, the price tag is much lower, so that’s definitely an attraction right up front. Paul: Right. You can build a four-seat. Let’s compare to the $400,000 Skyhawk. You can build an RV-10 from the Vance Aircraft Company which is a four-seat low-wing level cruise at 170 knots with full blast cockpit. Anything you can possibly imagine, you can put in there. It doesn’t have to be certified. I mean, the avionics choices and experimentals are just phenomenal these days. They weren’t like anything flown and anything that I’ve flown. You can go fly in your RV-10 for probably a 160,000 full IFR. Chris: So tell me about that. I had a misconception. You can fly an experimental aircraft in IFR? Paul: Oh absolutely. We use them all the time. I’ve got right now in my hangar between my wife and I, we’ve got three RVs, a single-seater and two two-seaters. All three of them have triple redundant GPS IFR capability, glass cockpits, autopilots, and it’s just phenomenal what you can do. Chris: So what are the rules there? Because I thought there was some sort of rule with experimental and IFR. Paul: No. There is not. You need to be equipped for IFR flight. Chris: Gotcha. So the basic regulations. Paul: Right. Most of it does not have to be TSO’d. Pretty much we’re all stuck with needing a TSO’d navigator, a Garmin 430 or 530 or 650 or 750, or the Avidyne equivalent because as you probably well know, you’re not going to get very far in the IFR system today without a GPS. So you’re going to have to pony up for that but aside from that, glass cockpits are just phenomenal in the experimental world. It’s far cheaper to put glass cockpit in that it is to put reliable steam gauges in these days. Chris: Yeah, yeah. It’s becoming pretty amazing. So, the correlation there is that you do have to get a certified GPS. That’s the one thing you do need certified. Paul: Right, and the transponder has to meet the TSOs, so there are a few little things but they’re not different then. But you can install all yourself. Chris: Yeah, yeah exactly. And even if you’re not talking about IFR, I love Cub Crafters. I really like their airplanes. I just like the idea of adventure flying right now for some reason. Chris: Yeah. And especially the Carbon. Then Garmin came out with that G-3X or whatever it is, the configurable glass panel and it basically fills up the whole cockpit. It’s almost blasphemy to put that into a cub but at the same time, for my generation, it’s like that is the coolest thing I’ve ever seen. Things like that. That’s not IFR-certified but that’s another side of experimental that’s really cool. The innovation moves a lot quicker because the regulations are just pushed aside. Paul: Right. I’ve done a lot of development testing with various companies for quite a few years and they will send me hardware, they will send me software. I’ll feedback “Hey, I think the software would work better if it were like this.” They’d make a change, they’d send it back. We’ll play it until it’s ready for prime time. And that’s a lot of fun. That’s a lot of what we did in the space program which was as operation engineers was, the design engineers give you something, they’d say “What do you think of it?” And you say “Well it’s great except it takes four hands to operate.” Then they’d change it and you iterate on the design. So we do that today in experimental world and it’s very, very fast. I mean, I’ve had cases where I’ve called the company and said “Hey, I would really like the software to do this instead of that.” And the next day, they’d send me a new software load and it’s doing exactly where I wanted it to work. Chris: Wow. That’s the amazing thing about glass cockpits that a lot of people don’t realize, is the hardware is there, that’s all understood, but it can be updated. And that’s what really blows me away about it. It’s like you can turn that older device into something that is new. I’m sure there are limitations as there are with iPhones and the new iOS or whatever but it’s still pretty incredible that we can upgrade our experience that way just by upgrading the software. That’s a pretty incredible world to be in. Paul: Yeah. And that’s the experimental world. That’s where we’re in all the time. I can’t help but tell you that every year for the past several years, more experimental airworthiness certificates have been issued then certified airworthiness certificates every year. Chris: Do you see that. Here’s a question. Can you use, and I think the answer is no. Can you use an experimental aircraft for flight training? Paul: You can. You cannot rent it for flight training. There are some paperwork that you can go through and do that, and then you can use your aircraft for flight training. And some of the FSDOs are figuring out how to do that better than others. But you can build your airplane, hire an instructor, and get instruction in your airplane. Paul: But a flight school couldn’t get a fleet of RVs or anything like that. Not easily. But several of the kit companies have training programs that they have the letter of deviation authority, the LODA, and you can go to sonics and learn to fly the sonics right there in the factory airplane. So it can be done. Paul: Yeah, people talk about that all the time but I’ve worked in the government. I know how much money it takes to get a congressman’s year. Cessna, Piper, Beech, they don’t have the kind of… They might be lobbying but they’re only going to win the battles that nobody else cares about anyways. Chris: I just see this as a wave that is going to take over that market because if this really is the way it’s turning out to be, this almost reminds me of the internet. What the internet meant to technology, this reminds me of what this would be, experimental aircraft would be to aviation manufacturing. Paul: Right. Right. It’s really an amazing work. There is a lot of support out there. There’s a lot of people. We always joke about how in the world did people build these airplanes before the internet, and because there are more forms and online help than you can shake a stick at no matter which you kit you buy and the honest truth is before the internet, a lot of it never got finished. Chris: That’s crazy. Too cool. Alright, anything else to share there about Kitplanes, the magazine, the website, any of them. Paul: I think that’s a big thing. Go take a look. If you’re bemoaning the fact that you just can’t afford to keep your certified airplane anymore, go take a look at the experimental world. You’ll find it as much more affordable, has a whole lot more better performance, and more capability to make changes. It’s just amazing. You don’t have 6,000-dollar annuals by surprise. If you built the airplane, you get the repairmen certificate for it, you sign the annual loss. And anybody can work on an experimental. The only reason that you need a repairment certificate is to sign off the annual. So it’s a very, very neat world. Chris: That’s too cool. I’m convinced more everyday and I think I’m probably part of the general populace of traditional pilots that resist experimentals because I just don’t know much about it, but the more I learn, it just makes the more sense to me all the time. Paul: Well you’re going to be at Oshkosh, you need to talk to some manufacturers. Chris: Yeah, for sure. I will for sure. I’ll be doing some interviews there. I said CubCrafters. I’m definitely interested even in their kit that they have. And gosh, I’m going to run the gambit on that and find out what other bush planes are out there, and being from Alaska I think it makes sense to have something like that. Paul: Right. Well Chris, I’m out of time here. Chris: Yeah, yeah, I was going to wrap up anyway. So any few last words for aviators that are on the fence, that are disenfranchised, anything like that? Any words of encouragement from Paul Dye here? Paul: Get out there and get yourself a ride in one of the popular experimentals. If you like performance, the RVs are amazing airplanes. They go fast, they go far. They have great capability. If you want to get out on the bush, go get into a Cub Crafter’s carbon cub or a Kitfox or a Zenith. You want something that is really affordable and fun to go fly. The Sonics line is great and everybody else is going to get upset with me because those are the only ones I mentioned. But there are so many designs. You can go to our website and get a subscription and you can get access to our buyer’s guide which has a listing of a thousand different airplane kits that are out there. Get some planes. Chris: That’s incredible. Well, Paul, thank you so much for taking time out of your busy schedule to meet with us. Really appreciate it, and I will definitely see you in Oshkosh here in a few weeks. Paul: Okay, we’ll see you there. Chris: Thanks Paul, take care. Chris: Alright, a huge shout-out goes to Paul Dye for joining us on this episode of AviatorCast. Now, to tell you a little story. My mother, she’s a fourth grade teacher, and she has always taught really cool things about NASA to her children that she teaches because she feels like it’s such a great connection to the science, technology, engineering and math that is becoming popular today in education, but this is something that she has always kind of done. So after I had this interview with Paul, I called up my mom, I was so excited to tell her that I had talked to someone like this from someone and it was just so call. So Paul, thank you so much for joining us on the show. I know that this was fascinating not only for me but for many of the listeners to hear about your stories, to hear about your career path, and I also appreciate and recognize that you’re still doing great and awesome work in aviation today. Like I said, I’m considering more and more this experimental aircraft or kitplanes direction and so I thank you for bringing a little bit of light to that subject as well. But overall, just thank you so much for coming on the show and highlighting such a great episode of AviatorCast. I really appreciate it. A big thanks also goes out to the Angle of Attack crew for all that they do each and every week, each and every day to make this episode of AviatorCast possible. We get to step away each week and have some fun and talk aviation but there is a lot of business that goes on behind the scenes at Angle of Attack. We have kind of a lot of irons in the fire right now trying to drum up business and work on projects and do some other things, and these guys keep this process going so that we can do fun stuff like this, and I just really appreciate all they do. And thank you, the listeners. Really this show is all about you. Go spread the word of AviatorCast. If you like this show, please go share it. I would really appreciate that. I really love hearing from people like we heard from Kristoff today on the review that was left on iTunes. Now, that’s not the only way you guys can get a hold of me. You can get a hold of me at me@aviatorcast.com. If you have any questions, if you just want to share your story, I’d love to hear from you guys. I love the community of aviation and I so look forward to hearing from you guys. The more lives we can tough, the more people we can get enrolled in aviation, excited about aviation, passionate about aviation, the better. So if there is someone that you know that you would like to share this episode or any episode of AviatorCast with, please do so. We bring on some great guests that give of their time to make sure that they spread their passion as well. So if you guys can go out and share, I’d really love that. But over and above everything else, just thank you individually for being here. I really appreciate it and honor you for doing that each and every week. Join us on the next episode like I said at the beginning of this episode. This is kind of a hat trick that we’re doing this weekend. We are doing three different episodes so we have another episode coming right up, and it will kind of be a patriotic weekend starting off here with NASA, and then we’re going to be talking to a couple of members of the military in the other episodes. So I’m really excited to have those for you as well. And until next time, throttle on! Great episode. I very enjoyed this episode while driving to work and back home yesterday. What are “kids planes”? … I was wondering the whole ride. Than, at the end of the episode, I finally realized … the word probably is “kits” 🙂 … and I verified here.